The manufacturer has announced the brand-new 2020 Chevy Tahoe which will get improvements in almost every segment. So, this time it is going to be much lighter and will get a revised exterior styling. Inside the cabin, we can also expect changes in styling and the latest infotainment system. The Independent rear suspension should also be offered at least as an option. Beneath the hood, it will be offered with several types of engines. As for the engine, the 2020 Chevy Tahoe will come with two engines under its hood, like the previous model, but it is also expected to get a new engine option. So, to start with the well-known units; the first option is a 5.3-liter V-8 unit. This one is able to make 355 horses and 383 pound-feet of torque. The engine is mated to an 8-speed automatic transmission and comes with a choice between rear-wheel drive and all-wheel drive layouts. 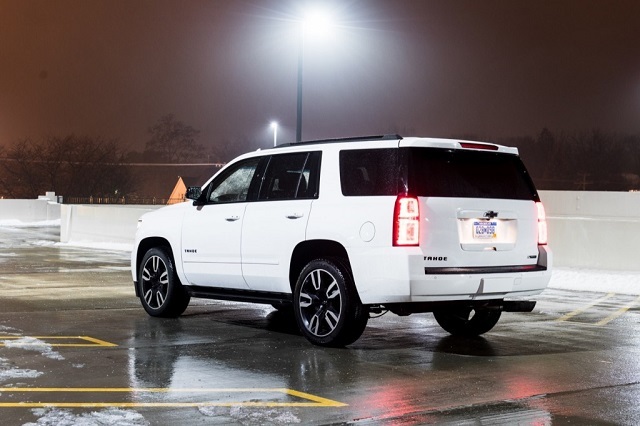 Connected to rear wheels, the Tahoe will get 15 mpg in the city and 22 mpg on the highway. The all-wheel drive variants will be rated at 15 mpg in the city and 21 mpg on the highway. The next option is a 6.2-liter V-8 which is able to deliver 420 horses and 460 pound-feet of torque. This unit will be linked to a 10-speed automatic transmission. It will also come with rear-wheel drive system as standard while the all-wheel drive system will be optional. The FWD model is rated at 14 mpg in the city and 23 mpg on the highway. And the all-wheel drive variant is estimated to be 14 mpg in the city and 22 mpg on the highway. Furthermore, the Tahoe will also be available with a 3.0-liter inline-6 unit which will have the output of 280 hp and 440 lb-ft of torque. This unit will also work with a 10-speed automatic transmission and be offered with RWD and AWD. Moreover, the 2020 Chevy Tahoe should also get a 2.7-liter inline-4 turbocharged unit. This one will be capable of making 310 hp and 348 lb-ft of torque. It will be mated to an 8-speed automatic gearbox. The rear-wheel drive and all-wheel drive configurations will both be available. 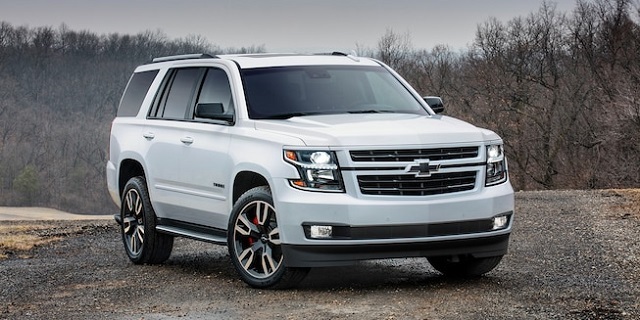 First of all, the 2020 Chevy Tahoe will ride on the GM T1 architecture which also underpins the Chevy Suburban, GMC Yukon and Yukon XL, and also Cadillac Escalade models. So, the new Chevy Tahoe will be significantly lighter than the current model, for around 300 pounds. As for the exterior design, the Tahoe will be large, blocky and will look bold and muscular. Furthermore, it will feature sharp surfaces. The front end will get a wide and large grille with chrome accents and split headlamps with LED daytime running lights. The rear end will be dominated by boxy taillights and a rectangular tailgate. The RST model will get a more aggressive look with a black grille, larger 22-inch wheels, and black mirror caps. 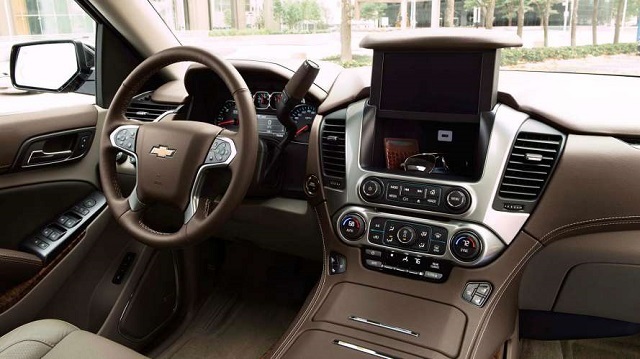 Depending on a trim level, the 2020 Chevy Tahoe will come with either two rows of three rows of seats. So, it will be able to welcome up to five or eight passengers maximum. And the second row will be available with a bench or captain’s chairs which will reduce the seating to seven occupants. The dashboard will be fitted with an 8.0-inch touchscreen for the infotainment system. Furthermore, the base model will feature cloth upholstery while the higher trim levels will get leather seats. As for the cargo, the Tahoe offers the room of 15.3 cubes. However, with the third row folded down, it expands to 51.7 cubic feet. And the maximum cargo space measures 95 cubic feet. The new 2020 Chevy Tahoe will be offered in several versions and those are the base LS, LT, and Premier trim levels. The base model will include keyless entry, a rearview camera, three-zone climate control, rear parking sensors, audio system with 6 speakers, an 8.0-inch touchscreen, Apple CarPlay and Android Auto connectivity, cloth seats, five USB ports, etc. The LT trim will add leather seats, Bose audio system, heated front seats, a power tailgate, high-beam headlights, and automatic emergency braking. The luxury package will also include push-button start, a power folding rear seats, keyless entry, heated steering wheel, and blind-spot monitors. The optional features will also include rear-seat DVD entertainment system, a power moonroof, and larger wheels. The Premier model will get cooled seats, wood trim, navigation, and magnetic dampers. Moreover, the Premier Plus Special Edition package will get a rear seat entertainment system, power-folding seats, unique interior design, and a head-up display. According to the latest news, the 2020 Chevy Tahoe will be available next year, probably in the fall of 2019. The price is not yet known, but it should be around $49,200.